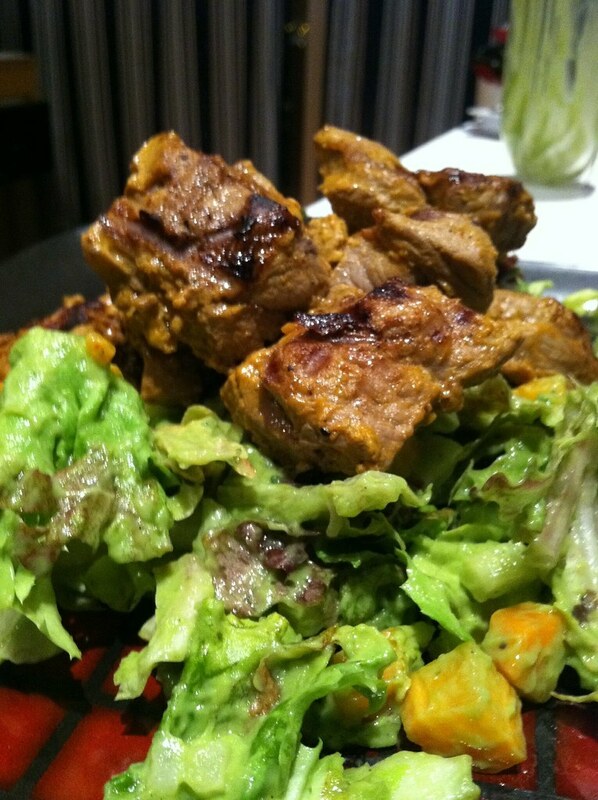 lamb – ugly food tastes better. Zombie Jesus Day! 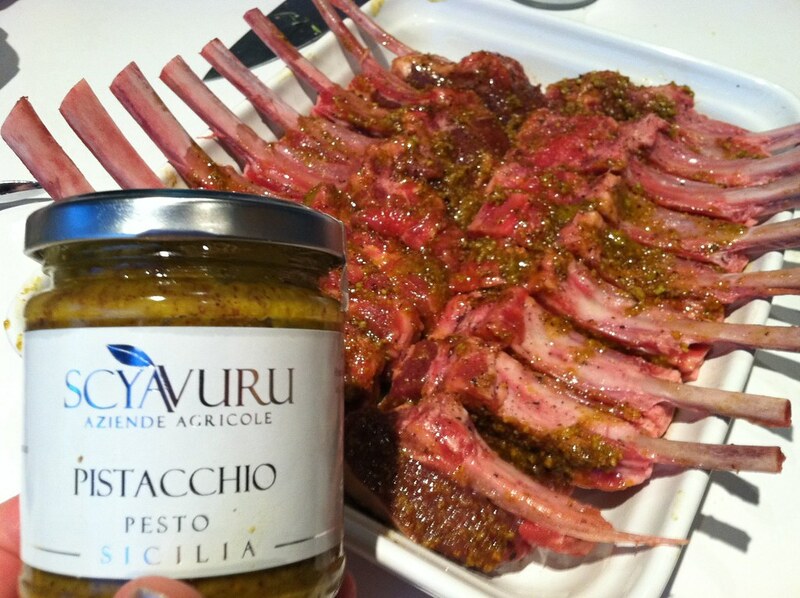 pistachio pesto crusted rack of lamb. grilled veggie salad with lemon rosemary dressing.